It provides the tools and resources for success. It focuses as much on the people-side as it does on the business-side. 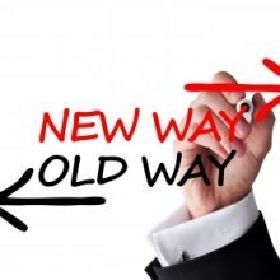 A successful change initiative requires leadership as well as management! 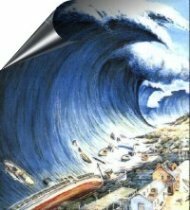 This site provides all the resources you need to deal with all of this. 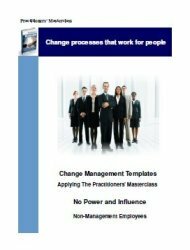 "This is an excellent reference for anyone involved in change management"
A successful change management initiative starts with a vision. It involves taking an organization from Position A to Position B to realise that vision. But it also involves bringing your people with you. So it is about process - but it's also about people. The philosophy of this site is about "processes that work for people"! "Loved the preview to the Practitioners Master Class; fabulous work you are doing, wonderful approach and really resonate with your attention to the human side of change… Many thanks for the gifts of interesting articles you share." The goal of this website is very simple. 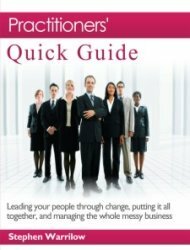 It is to give you very specific strategies for managing change and leading people through change. This means showing you how to put it all together - and manage the whole messy business. But a big part of change is you! 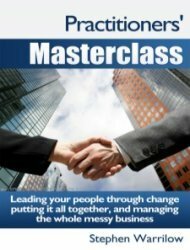 "Practitioners' Masterclass provides an excellent roadmap for leaders who want to undertake change initiatives. 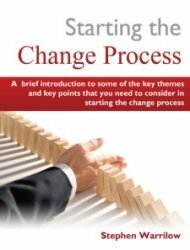 It provides the reader with a comprehensive overview of the many challenges and practical strategies to effectively implement a change initiative." " "Stephen is a very dedicated, reliable and intelligent leader in his field. It has been my honor to work with Stephen and exchange thoughts frequently. I can only recommend Stephen, his articles and his work... he is a distinguished leader within the industry that keeps developing new ideas and keeps evolving within an ever changing industry" "